Do you know what the biggest line item is for school districts after payroll? It’s the operating costs for their buildings, which is predominantly energy costs. The typical public school district is paying millions of dollars (or even tens of millions) every year to power their schools. In response, more and more new schools are being designed to be “Net Zero,” meaning they generate as much energy as they consume. It’s a concept that originated as part of the sustainability movement, which seeks to lower the environmental impact of humans, to be more in harmony with the health of the planet. Net zero design is a concept of global significance. But for schools that are perennially crunched for cash, it’s the dollar and cents savings that add up to a powerful reason to move to zero-energy buildings. 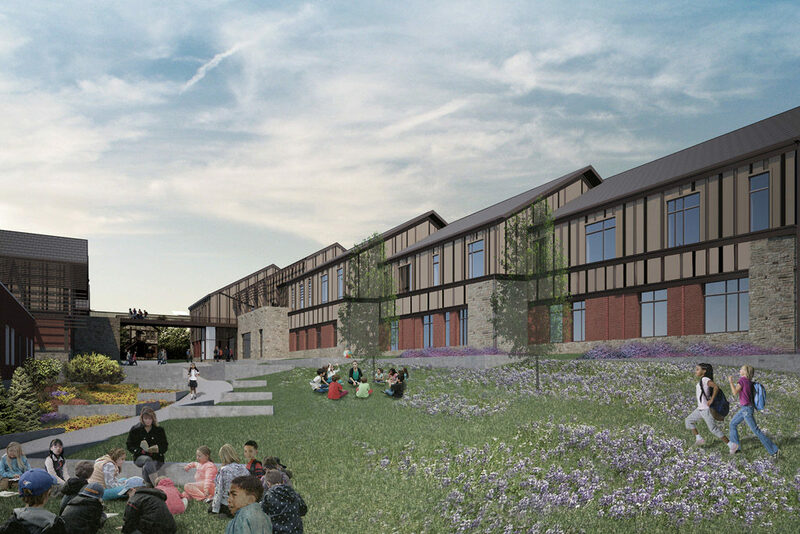 Fanning Howey recently worked on the design of the new Bethany 6-8 School in Glendale, Ohio, which is currently under construction and will be net zero upon opening. The local benefit of a net zero school is obvious: the less money a district is spending on its energy bills, the more it can invest in its educational programs. Less money spent lighting and heating/cooling a classroom means more money spent in that classroom. Bethany 6-8 School’s net zero design will allow the district to spend less money on energy bills and more money on education. 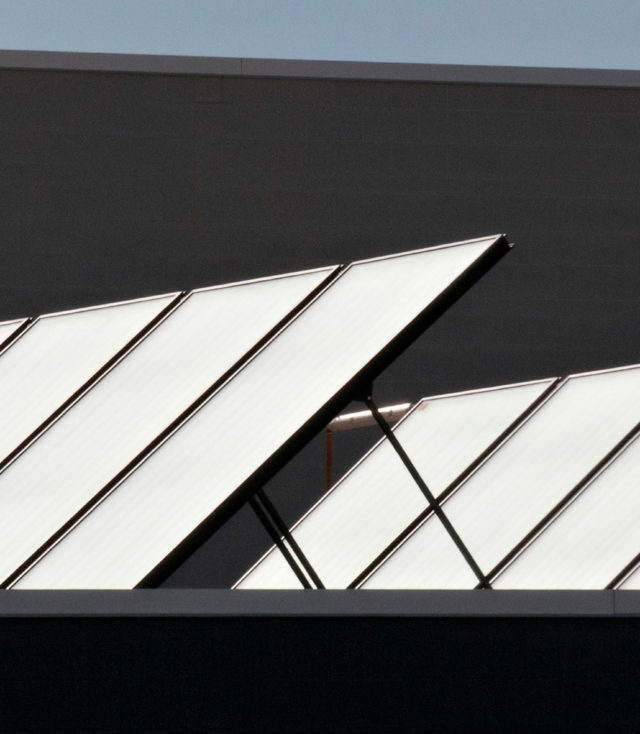 By squeezing down the energy consumption of buildings and generating power (largely through onsite photovoltaic solar panels, which convert sunlight into electricity) schools return as much power to the utility company as they consume. And since the projected lifespan of a new school building is measured in decades, the cost savings of zero energy usage quickly pays for the cost of building a school of this type versus a traditional design. Over the years, the fiscal picture shines. The most crucial aspect of getting to net zero isn’t generating electricity through solar panels, but lowering the usage of energy for heating and cooling, lighting, computers and other equipment. The average school has an energy usage index (EUI) of between 50,000 and 70,000 BTUs per square foot per year. By contrast, a net zero school should aim for an EUI of under 20,000. To achieve net zero requires the architects, engineers and Owner to work together in a completely integrated approach. Architects must help with the design of the building envelope to make the building as efficient as possible. Engineers must coordinate and design systems for sustainability, and the Owner has to be committed to operating the building as efficiently as possible. Getting there means taking a holistic approach to operations. There are obvious steps, like employing LED light bulbs and turning lights off when an area is not in use, but also using daylight controls that lower the brightness when a sensor knows there’s enough available natural light. Desktop computers use a lot more electricity than laptops or tablets, so that means a greater emphasis on mobile technology. Natural daylighting and an emphasis on mobile technology are integral to a net-zero design. The biggest consumption of energy is for heating and cooling. One approach to lowering this consumption is to have more powerful and diverse flow control in the upper ventilation of the school’s HVAC system, so the heated or cooled air can be directed to where students are. Large assembly areas (gyms, auditoriums, cafeterias) that cost a lot for climate control can be diverted from when they’re not in use. Geothermal or ground source heating and cooling is another piece of the puzzle. Heat pumps transfer heat from one place to another, using the ground as either a heat source or a heat sink, depending on the season. It’s always more efficient to transfer heat or cooling than trying to create your own. Some people think that zero energy use means being cut off from the public utility power lines, but this is not the aim of net zero designs. These schools will still be connected to public utilities, but using the energy much more efficiently while generating electricity from solar panels to offset what they do consume. It is entirely feasible that in the near future, efficiently designed schools will generate even more power than they consume, leading to a net positive energy profile. And that’s a huge plus, both for the Earth and the financial health of our school systems. 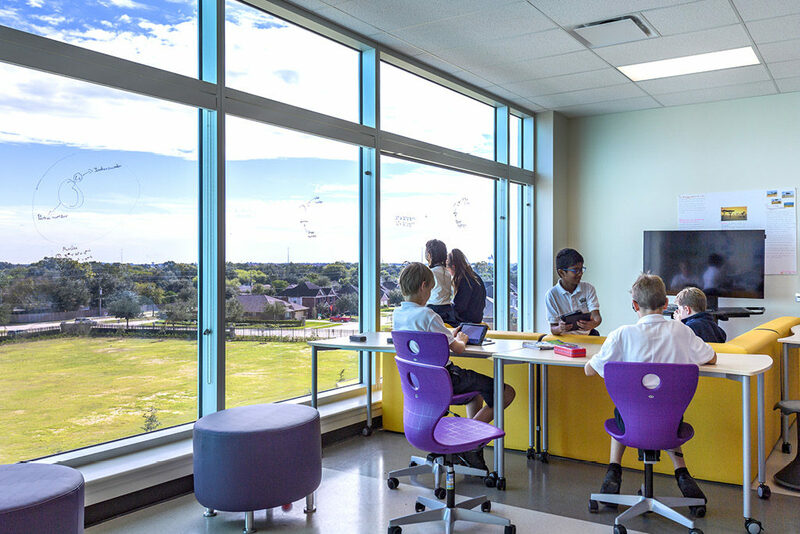 By architects, engineers and Owners working together and using these strategies to design and operate net zero schools, the future looks bright.